Our Goal is not to raise up a church building, but rather to raise up The Church; the Body of Christ. We envision an army of believers gathering together, not just to attend church, but to be equipped to carry out the directions that Jesus issued to all believers in Mark 16:15-20. The main heartbeat of the local church should be to reach the lost with the Gospel of Christ. Any focus other than this will cause a church to become stagnant and die. The Rock Church has a heart for the lost and is involved with both local evangelism and missionary work around the world. Our services are a time for people to find refuge from the storms that occur in life. This is a time for the Holy Spirit to move freely in healing the sick and hurting. It is a place where souls are saved and the bound are delivered, resulting in restoration and refreshing. It is our goal to develop a ministry for every aspect of life. Specialized ministries for children, youth college & career and seniors ministry fellowships are just some of the ways we are reaching out and meeting the needs of the local congregation. There is one eternal God who is the creator of all things. He exists in three persons: God the Father, God the Son and God the Holy Spirit. The Lord Jesus Christ was born of a virgin. He is both 100% God and 100% man. He lived a sinless life, died on the cross in our place and was resurrected on the third day. He is the only one Who can reconcile us to God. Through His resurrection, we can live an empowered and victorious life. The Holy Bible is the inspired Word of God and as such is fully reliable and relevant to our lives today. The Holy Spirit provides one or more spiritual gifts to all believers, manifesting them as He wills. Salvation is by grace, through faith in our Lord Jesus Christ. To receive forgiveness we must repent of our sins, believe in the Lord Jesus Christ, and submit to His purpose for our life. It is through the ministry of the Holy Spirit and the Word of God that Christians are enabled to live a godly life. We believe in the marriage between one man and one woman. We firmly believe in the sanctity of human life and that life begins at the moment of conception. The “stripes” placed upon Jesus Christ at his crucifixion provide physical healing to all who will believe and receive. Baptism is instructed by the Word of God. Every Christian should be baptized in water in the Name of the Father, the Son, and the Holy Spirit. 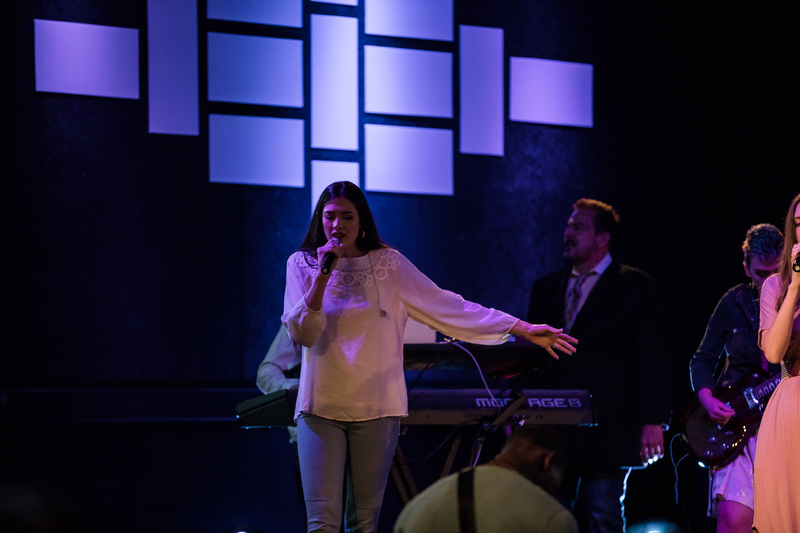 The Rock Church was originally called Cornerstone Church and was founded by Dr. Richard Ledford, who pastored the church from June of 1991 until April of 1997. He began this work in a Jazzercise building with only 25 members. In December of the same year, he purchased the John Deer building which now serves as our Kidz Rock and Middle School Ministry's home. In 1993, an addition was built to serve as a sanctuary and to make room for the growth of this new ministry that God had begun in the Zachary community. In 1995, what we now know as our sanctuary was built and the old sanctuary was used for the growing youth and children’s ministries, but Dr. Ledford still had a vision. In 1997, Dr. Ledford followed the Holy Spirit’s challenge to start another work in Ohio. He then passed the pastorate role to Pastor Rocky Bezet, who at the time served as an Associate Pastor. In June of 2004, we began building our Family Life Center. It was put to use even before completion; in August 2005, Hurricane Katrina devastated New Orleans and the surrounding areas. We took in, housed, and served on a 24/7 basis more than 300 families over a 4 month period. Our church also served as a distribution center for supplies and for disaster assistance teams. In July of 2006, the Lord directed Pastor Rocky to change the name of our church from Cornerstone to The Rock through the following portion of scripture: Matthew 16:15-18 Jesus said to them, ‘But who do you say that I am?‘ Simon Peter answered and said, ‘You are the Christ, the Son of the living God.’Jesus answered and told him, ‘Blessed are you, Simon Bar-Jonah, for flesh and blood has not revealed this to you, but My Father who is in heaven. And I also say to you that you are Peter, and on this rock I will build My church, and the gates of Hell shall not prevail against it. Since then we have been busy about our Father’s business of fulfilling the vision He has given our church.